Renovation of The Centre of Geoeducation! Dear Tourists! 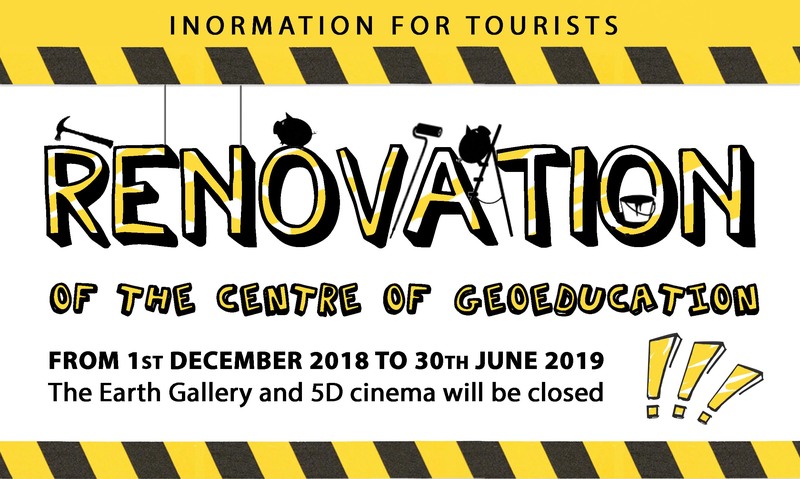 We want to inform you that from 1st December 2018 to 30th June 2019 The Center of Geoeducation will be under reconstruction. The Earth Gallery and 5D cinema will be CLOSED. Sorry for the inconvenience. We will inform you about reopening at a later time!